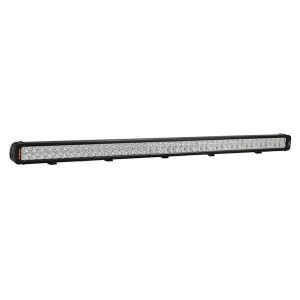 Whether you choose the 4″ bar or the 50″ bar, you can rest assured that the LEDs inside of the Xmitter Prime Xtreme are the best 5-Watt LEDs obtainable. Top-binned and perfectly constructed, these high powered LEDs are capable of outputting 528 raw lumens each. Since the Xmitter Prime Xtreme Single Stack was first launched, it has held the title of “Most Raw Lumens Per Inch”. Pumping out nearly 1,000 raw lumens per inch, the Xmitter Prime Xtreme is unmatched in terms of effective power and performance.